With that musical declaration, the history of Korean pop music changed completely 20 years ago Friday when a group of three boys released the album and title song, "I Know". In 1992, Seo Taiji, Yang Hyun-Suk and Lee Juno shocked the music scene with combined elements of hip-hop and rock, bringing rhythm, rap, break dance and most importantly the bold attitude. 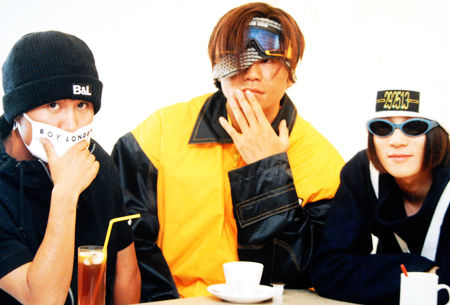 Until their sudden disbandment in Jan. 22, 1997, Seo Taiji and Boys produced four albums. These days, the most successful of the three is Yang, CEO of entertainment agency YG. The former rapper and dancer of the legendary band founded the company only one year after the trio went their separate ways. 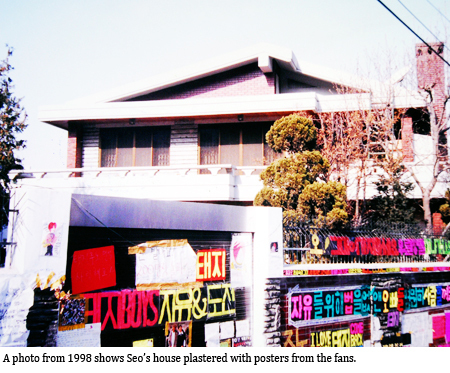 The agency represents and produces Jinusean, Big Bang, 2NE1, and Se7en. He also sits as a judge on the popular audition program "Survival Audition K-pop Star" with BoA (SM Entertainment) and Park Jin-young (JYP Entertainment). He has expressed in interviews that his experience as part of Seo Taiji and Boys forms the bedrock of his company. Though many festivities took place in 2007 to celebrate the 15th anniversary of their debut - that year a memorial hall opened in honor of the phenomenal band in COEX Mall in southern Seoul- this year seems to be passing by more quietly. Seo Taiji Company, Seo's rock agency, has settled a lawsuit with Yedang Entertainment, who allegedly violated the terms of agreement in distributing their albums. On March 15, the Seoul Central District court announced that Yedang was to pay a 300 million won settlement. Seo, whose musical ingenuity was always rooted in rock, reappeared in 1998 with the solo album "Seo Taiji" followed by "Ultramania" (2000) "7th Issue" (2004) and "8th Atomos" (2008) as well as several singles. He made the front pages last year when a local newspaper revealed that the legendary pop icon had gotten legally married to Lee Ji-ah but was filing for divorce. Specifically, Lee had filed for alimony and division of property amounting to five billion won through a Korean law firm Barun Law to end the marriage that began in 1997 in the United States. There the couple had lived in Atlanta and Arizona. 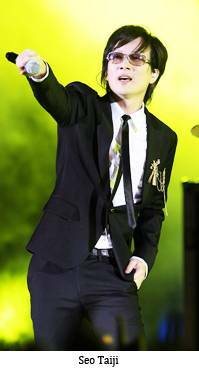 To commemorate the 20th year of their idol's debut, fans of Seo Taiji called Seo Taiji Mania have acquired a five-hectare tropical forest, Guapi Assu, in Brazil to name after the star. The fan group collected 3.9 million won and in 2010, they signed a memorandum of understanding with the World Land Trust to donate to a rehabilitation fund for the area now called the Seotaji Forest, through a local organization REGUA.